Removes fish oils, odours and fuel residues. 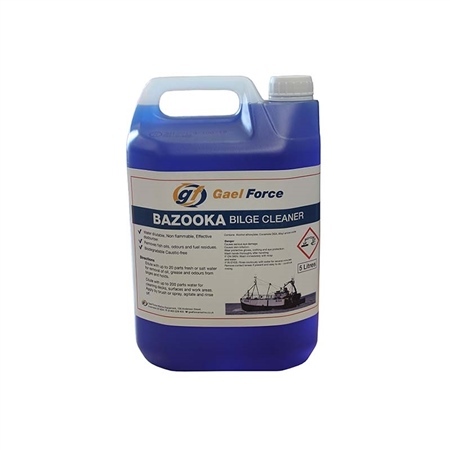 Dilute with up to 20 parts fresh or salt water for removal of oil, grease and odours from bilges and holds. Dilute with up to 200 parts water for cleaning decks, surfaces and work areas. Apply by brush or spray, agitate and rinse off.